Join us this week as we welcome back to our show, alternative pop music artist, Shaun Canon. Shaun is a soulful singer, hard-hitting pianoman, and a cinematically innovative songwriter. 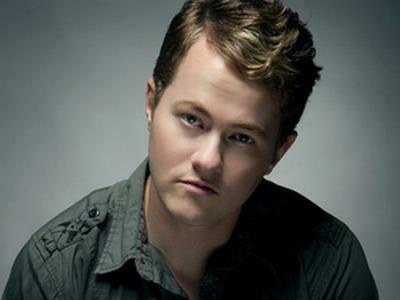 He composed an original song that will be featured on a Pepsi commercial, performed with teen sensation Greyson Chance, Won a Gold AVA award as co-producer of the TV show "Vivir Bailando", performed for President George W Bush, wrote the theme song for Shadow Complex (top selling and award-winning video game of 2009), placed a song in Drop Dead Diva (Lifetime), performed in an L.A. rock band for Sony Records, won $30,000 for receiving most votes in a UK Music Contest, Slice the Pie, opened for major acts including Brian McKnight and Janelle Monae, and he is touring North America, Europe and Asia with his highly acclaimed Live for Music Tour. We will catch up on all the latest with Shaun, play his latest songs, and ask him to share his message to the troops. Please be sure to visit Shaun Canon at http://www.shauncanon.com/ and spread the word. Fans are welcome to call in and chat live with Shaun during the show. If you would like to participate in the live chat during the show, you must sign up on our show site first and then log in during the show. More great music for a really great cause! And as always we will give shout outs to our deployed military listeners. Be sure to join us, Sunday July 22nd 2012 at 4:00 PM EDT! Our message to the troops....WE do what we do, because YOU do what you do.